It is an American actor. Since childhood, his mother began to take him to New York to sing and dance classes, as well as auditions for commercials. He is known for his role in the film 'Mrs. Doubtfire', with Robin Williams, and series like 'Brotherly Love', among others. 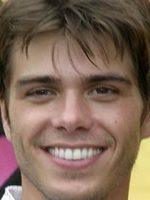 Matthew Lawrence has been active for 29 years, participating in 4 movies that average a 6.7/10 score.